Rage, rage against the dying of the sherry cask. I wonder what Malt Rage looked like back in the day before whisky bloggers were around. Maybe it was just as annoying and self-important as it is today. I was not “malt aware” in 2004 when the owners of The Macallan released the Fine Oak series, but boy, I hear it was quite a thing to Macallan lovers. You see, Macallan whisky is sherried whisky, and quite distinctly, as you might know. Their malts at the time were predominantly aged exclusively in European oak seasoned with sherry wine. The announcement struck uneasiness in the consumer’s eyes that their beloved sherried Macallan may be on its death bed. Obviously, this never happened (yet) as we still have the option to pick up a stout bottle of sherried Macallan goodness, but it worked for a great controversy at the time. I never had a problem with Fine Oak, because as I understand it, sherried oak comes in short supply and is an expensive operation to maintain for the Edrington Group. You just do you, Eddie, and don’t worry about what your crazed fans say. Today’s selection of The Macallan 10 yr Fine Oak Single Malt represents our first look at this curious series. Sherry influence is not completely removed, however, as European oak is still used as well as ex-bourbon casks that also for a time held sherry for extra seasoning. This quirky process makes for a unique expression to be sure, and is bottled at 40% without caramel coloring. On to it…. Nose- Grain cereals, biscuity. Fruity with plum and red grapes. Ripe dates and raisins on the lighter side. Almost salty. Taste– Barley water. Thin. Light toffee. Finish- More of the same with a sour note along with the familiar grain notes. Comment- Not a bad start. 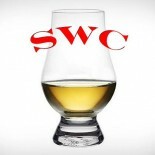 Nice nose and finish, a nice light spring whisky, if that’s your thing. Good price, too. Agree? Disagree? Stop dragging my heart around.